Men are known to visit doctors less as compared to females for seeking medical help for any health issue. They are generally known to be not as vocal as women especially with doctors. 1.Sore muscles: If you have sore muscles initially remain patient. It could be because of intense physical activity that the body has gone through to which it was not used to. This will generally fade on its own over a period of time. Mild pain killers will help ease this pain. But, if the muscle soreness persists beyond a week then it is important to see a doctor. Though very rare, intense physical activity can cause rhabdomyolysis which can cause permanent kidney damage if not treated at the right time. 2.Long standing cold: Cold, stuffy nose, blocked ears is most commonly caused by a virus which will last up to 3 weeks. Over the counter nasal decongestants will help relieve these symptoms. But, if these symptoms persist over a period of more than a month then it could be that you have contracted a exotic disease which may need immediate medical attention. 3.High grade fever over 102 degrees: Low grade fevers are seen in viral infections. These run their usual course and subside. High grade fever on the other hand over 102 degrees that persist longer than the usual viral course require immediate medical care. This generally is because of bacterial infection. Bacterial infections always likely require antibiotic therapy to be eliminated from the body. 4.Long standing cough: Cough could be an accompanying symptom of any viral or common upper respiratory tract infection. Long standing cough accompanied by fever should be evaluated by a doctor as it could be potentially caused by bacterial infection which likely requires antibiotics. Cough with shortness of breath is an indicator towards pneumonia, fungal infections, lung cancer. This seen in individuals over 50 and particularly in smokers requires medical help. 5.Chronic low back ache: Low back pain mainly is musculoskeletal in origin and the only treatment is rest. This pain generally disappears in 4 to 6 weeks. If it is perceived beyond 6 weeks then it is considered as chronic back pain and needs evaluation. Pain or tingling down one leg or the other also could be due to slipped or herniated disc or sciatica which requires immediate care. 6.Intense headache: Headache that resolves on its own in a short course of time is not an emergency. 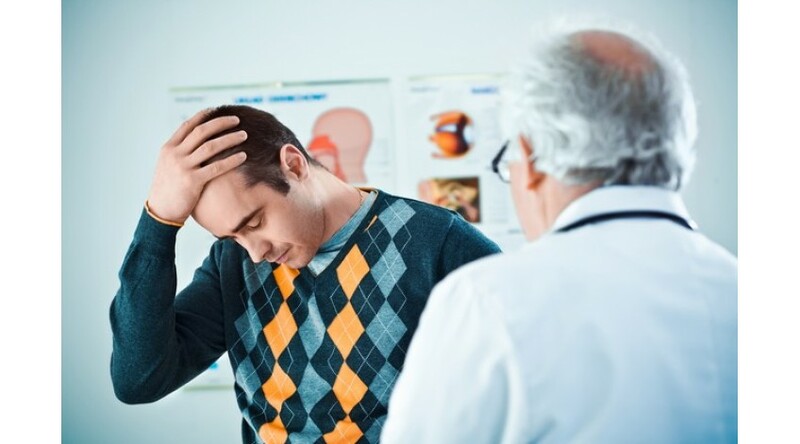 Headache that is intense and not subsiding with the pain killer accompanied by rash is suggestive of meningitis which needs medical intervention. 7.Stomach pain, sharp and shooting type: Stomach pain starting in the centre of the stomach and radiating to the right lower quadrant is a sign of appendicitis and needs immediate medical care. 8.Sleep deprivation: Trouble falling asleep could be due to depression, anxiety or any other medical condition. Since it can affect your functioning, do not wait beyond 2 weeks and meet your doctor at the earliest. 9.Depression: If your mood is interfering with your day to day activities then it is time to meet your doctor as depression can be treated sooner rather than later.